One of the joys of summer has always been the easy indoor-outdoor lifestyle of the season, allowing homeowners to throw open doors and windows and let the warm air and cooling breezes inside. There is also the constant in and out traffic flow so common to families with active children. What is better than planning a backyard meal? Typical screen door options are not always user friendly; whether your French doors are the home’s architectural highlight or simply a convenient feature of a screened porch, pool enclosure or freestanding garden structure. While retractable screens can be effective solutions for traditional French doors, they are not always architecturally appropriate. Even though they can be almost “invisible” when closed and tucked out of the way to one side, they are sometimes difficult to latch and subject to misuse and operational mishaps. They are a decidedly contemporary solution and do nothing to enhance traditional or period architecture. Commonly, plastic parts are easily bent, magnets break and installation can be difficult even for a professional. Seasonal cleaning can be a chore. One should also note that while wooden screen doors may provide a more traditional architectural solution; they are bulky, require regular maintenance, and they may also difficult to install in a double-door frame. Wooden screens may sag, warp, splinter and need periodic refinishing. And, while a stabilizing center post can be installed to increase strength, the same post decreases function and appeal. The better idea for almost any screen installation, but especially for French double doors, is a durable, strong and efficient aluminum screen door designed to complement and enhance the esthetics and the convenience of your home. US Building Products offers handcrafted custom PCA screen doors that can be custom designed to project any look you desire — from simple to artistic to “proper” historic styles. PCA screen doors are available in five standard powder-coated colors and almost unlimited options for customizing your double doors. 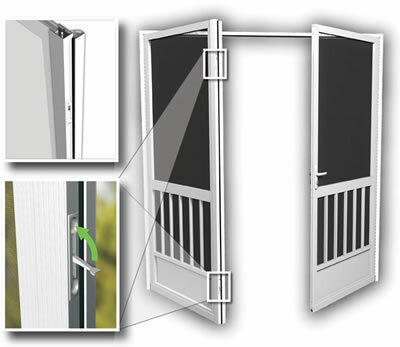 You can design in-swing or out-swing doors, and there are numerous latching, locking and ornamental options. For your convenience and your pet’s comfort, there are also pet door screening options. Every PCA screen product is crafted to the highest standards of quality, designed for maximum beauty and efficiency. Your double-door screens will serve you well, either as stand-alone doors, or installed in tandem with your working French doors. 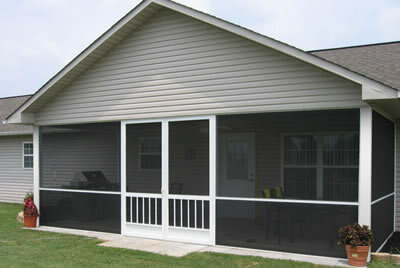 They resist weather damage and extend your outdoor living options throughout the seasons. 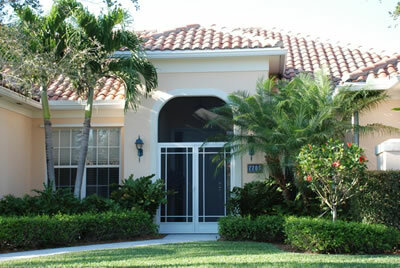 Give us a call at 1-800-284-5194 to find the perfect set of doors. With serviceable and attractive double door screens you can enjoy both your home’s interior and exterior with equal ease. ‹ Who’ll Let the Dogs Out?